A young playwright will see his first full play on stage after being appointed Young Writer in Residence at The Customs House. Elijah Young, 20, who is originally from Teesside, graduated as an actor from the Project A training course at Newcastle’s Theatre Royal in July last year. 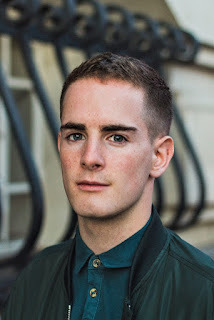 He started writing two years ago and his first piece, Fag Break, was featured in the last 10 minutes to… night at Newcastle’s Live Theatre, exploring struggles in LGBT+ youth. He has recently finished the Write Something course at Alphabetti in Newcastle, where his short play, Dandelion & Burdock, was featured. Isolation follows the story of six students and their teachers at a school in the north east of England and the week they spend together in isolation. Dale is an openly gay student who clashes with Stephen who, despite his act, is struggling behind closed doors. The week coincides with the first anniversary of the suicide of Connor Davies, who was a student at the school. Emotions are high amongst the students and, with the recent death still raw, could his suicide have been avoided? Cabin fever sets in amongst the students and teachers, which leads them to reveal sides of them they wouldn’t normally share. The director of the piece will be Jake Smith, who is also originally from Teesside. He began his career at Hull Truck Theatre as a Creative Learning Facilitator and has since been a Resident Director at the Almeida Theatre, Trainee Director at Chichester Festival Theatre and trained on the National Theatre Directors' Programme. He is currently the Artistic Director of the award-winning Petersfield Shakespeare Festival. Elijah will be mentored by County Durham writer Tamsin Daisy Rees, an associate artist at Live Theatre, who has worked with the Royal Court, Bunker Theatre, ARC Stockton, North Wall Arts Centre and Northern Stage. The Takeover runs from Monday, May 27, to Friday, May 31, and features theatre, cinema, music, dance, poetry and visual art. For more information, visit www.customshouse.co.uk/learning-participation.